On 31st December 1720, Charles Edward Stuart was born in the Palazzo Muti, Papal States, Rome. Charles was the son of James Francis Edward Stuart and his wife Maria Clementina Sobieska. Known to history as “Bonnie Prince Charlie” or the “Young Pretender”, Charles was the grandson of the exiled Stuart monarch, James VII and II, who was deposed in 1688 in favour of William of Orange. The supporters of James and the Stuart cause became known as Jacobites, and in uprisings in 1689, 1715, 1719 and 1745 they tried and failed to return James and his son, James Francis Edward Stuart, to the thrones of England, Scotland and Ireland. In July 1745 Charles sailed for Scotland to raise a Jacobite rebellion in the Highlands in order to overthrow the Hanoverian George II. 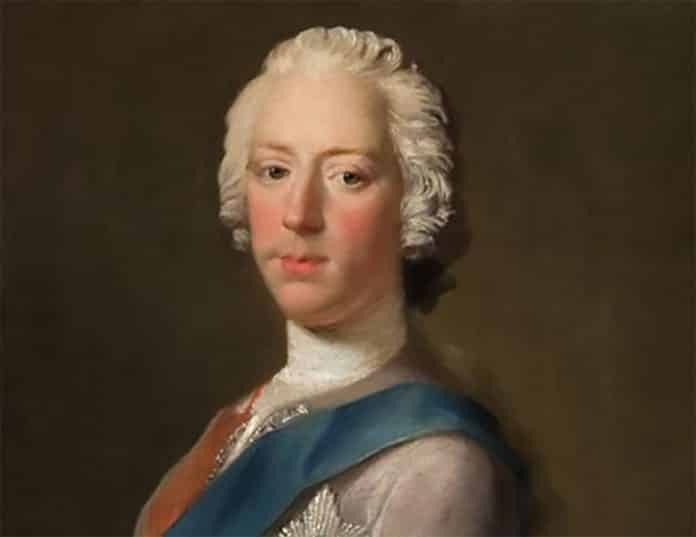 Support for Charles in Scotland was less than he had hoped for and although the rebellion was initially successful it met with disaster at the Battle of Culloden on 16th April 1746. Following Charles’ failed attempt, the highland way of life was to change forever. Charles secretly visited London in 1750 and it is believed he converted to the Protestant faith during his short time there. It could be fair to say that Charles, like his father, saw Scotland merely as a stepping stone for the bigger prize, the Crown of England. Indeed, had it all gone according to plan, Charles would have invaded England at the head of a French army in 1744. After the invasion failed to materialise Charles tried his luck in Scotland. Charles was a tough individual, mentally and physically, which is much different to the popular portrayal of him. Charles Edward Stuart died in Rome of a stroke on 31st January 1788, aged 67. Yes, I wonder how can Parliament choose the next monarch. Is the Queen going to leave her crown to William or her son Charles who betrayed his wife and had mistresses, just like all the Hanoverians. Lets change the succession now for William and Catherine. I remember reading that just because the Bonnie boy didn’t go to the Catholic church the Pope refused to recognise him as Charles 3rd.